I’ve been a loyal Uber user for seven years now. 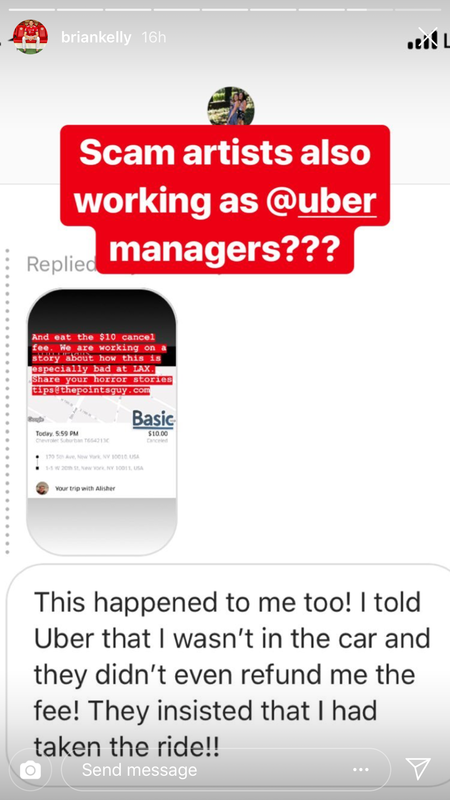 So loyal, in fact, that I have spent $81,600 on my business Uber account over the past three years. In 2018 alone, I forked over $33,812 to Uber through my business account. (Mostly charging to the Chase Sapphire Reserve card for 3x points on travel purchases.) That’s some serious cash, and it’s clear I’ve been a devoted customer. And the way Uber’s thanked me for my loyal business is by scamming me. So, the headline of this article isn’t overly dramatic. It’s a sad fact. 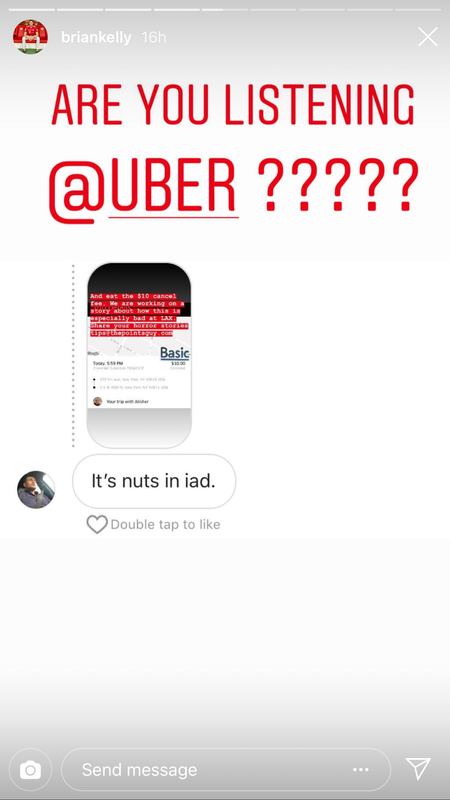 Uber scams are the kind of incidents you may have heard about, but never think will happen to you. Until they do. 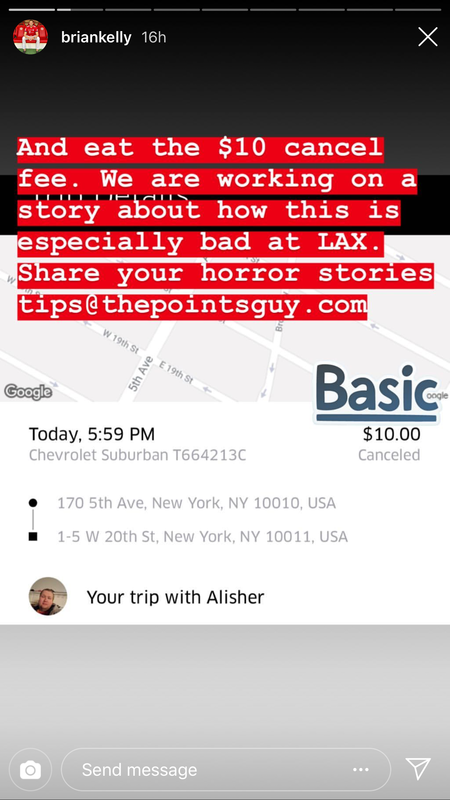 On Sunday, I ordered an Uber in New York City and the driver accepted my ride as normal. But then he wouldn’t answer my calls and wasn’t at the location on the map. I called and called and finally gave up, eating the $10 cancellation fee. Well, you’ve heard it from Caitlin, you’ve heard it from me, and we aren’t the only ones. 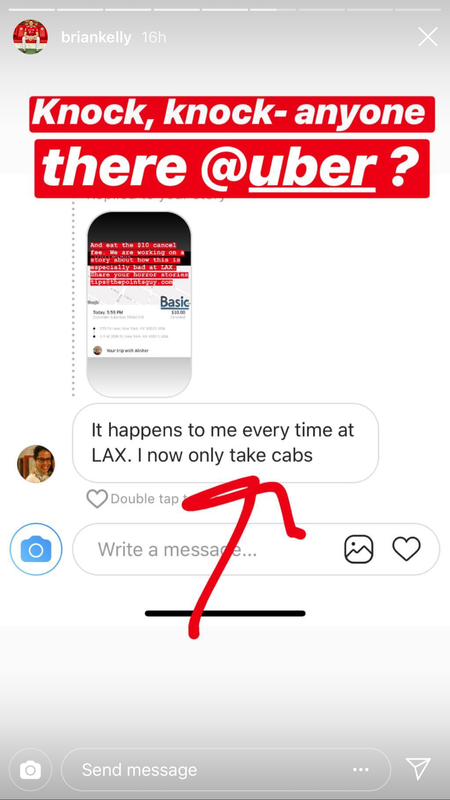 As Caitlin suggests, if this happens to you, remember that drivers aren’t allowed to ask for your destination pre-pickup — that is of course, if they manage to answer the phone. And if they don’t show and don’t answer the phone, like in my experience, you can either wait it out or eat the cancellation fee and try to fight it later via email. 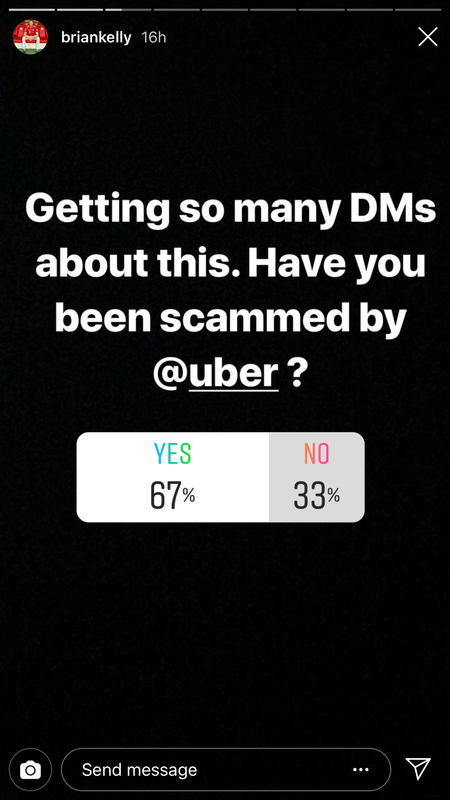 When I posted about my experience on my Insta stories, my poll stated that 67% of followers had been scammed by Uber at one point or another, which is way more than I expected. … and in MIA, as well as many other spots. 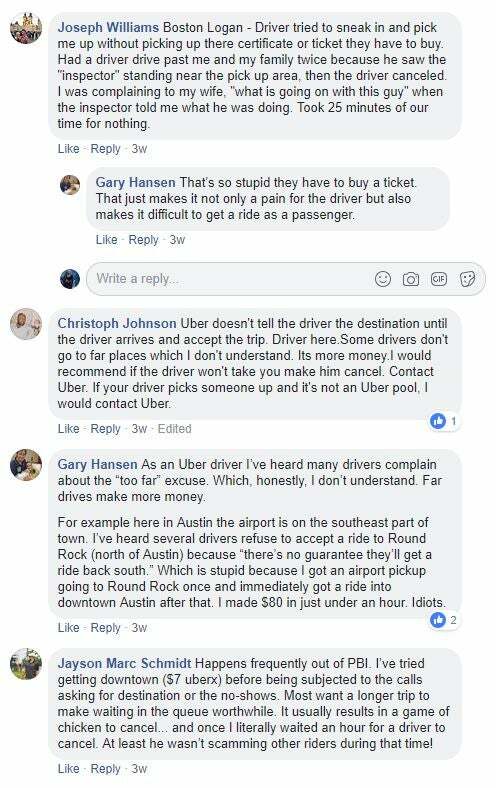 At first, Uber didn’t seem concerned about responding to any of these messages, or dealing with scams at all. However, I finally did get a refund from Uber — but because I emailed them complaining. I received an email from their premium support team stating that I would be refunded for my cancellation fee, but the representative didn’t seem to reference the fact that this was clearly a scam. While I’m happy I was refunded, it seems like this may have been because I have a premium account. 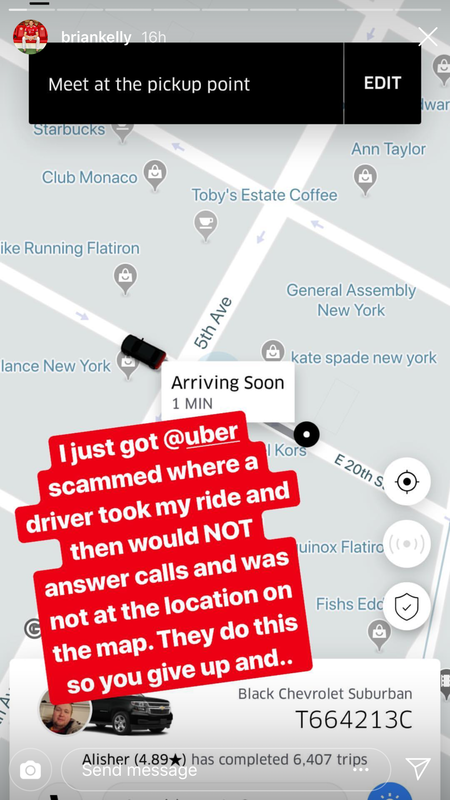 It’s not really about the actual $10, but it’s more the fact that Uber knows about these scams yet continues to let them happen around the US, and internationally. Regardless of the fact that I’ve been refunded, I know what I plan to do about it. I think I’m breaking up with Uber. 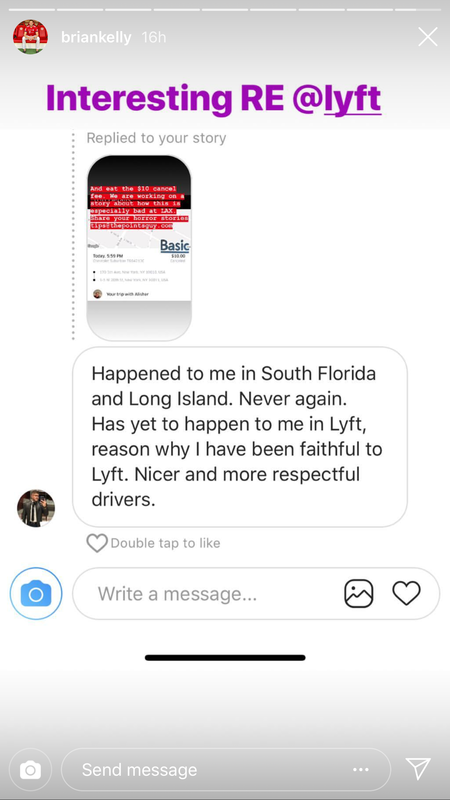 I may consider giving them another chance, but in the meantime, I think I’ll switch to Lyft, a company that doesn’t seem to be condoning these scams. Arro: You can use this app to order yellow cabs and pay digitally. Or, you can use the app to pay for a yellow cab you’re already in. Juno: Their slogan is “Juno treats drivers better, drivers treat you better.” At the moment, they’re offering all users 30% for a limited time. Via: This ridesharing service prides itself on being affordable, with New York City rides starting at just $5. Bellhop: This ride-sharing aggregator, which launched in New York in July, claims to save up to 20% per ride. Have you ever been scammed by Uber or another ridesharing app? Share your story in the comments section below.